The Massachusetts Commission on LGBTQ Youth released recommendations Sunday that stated lawmakers and regulators needed to better support LGBTQ youth in the state’s communities. 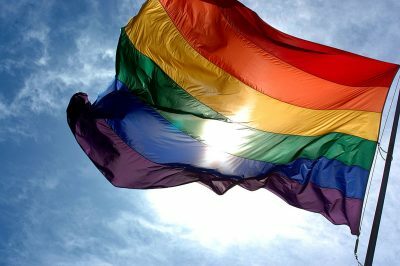 The Massachusetts Commission on LGBTQ Youth released its annual report Thursday recommending actions to support young LGBTQ people across the state, with a focus on increasing inclusion, ending homelessness, advancing justice and improving sexual and mental health. The report showed more than 15 percent of young people in the Commonwealth identified as LGBTQ, and more than 31 percent of LGBTQ youth reported they seriously considered attempting suicide in the past year, according to a press release from the Commission. The data also showed more than 20 percent of Massachusetts’ female youth population identifies as LBTQ while 10 percent of the male youth population identifies as GBTQ. It also found LGBTQ youth of color showed higher rates of skipping school because they did not feel safe. The Commission’s leadership said in a letter in their report that as the rate of youth identifying as LGBTQ increases, the amount of support from political leaders should increase, as well. The letter also stated leaders in Massachusetts must be prepared to support LGBTQ youth who may not be supported by their families or communities. Corey Prachniak-Rincón, director of the Commission on LGBTQ Youth, said the Commission’s focus this year is on creating more inclusive environments in schools. The Commission’s overarching issue is inclusion, Prachniak-Rincón said, which includes providing information and resources for families so that LGBTQ youth are being served effectively. Prachniak-Rincón also discussed how the ban on conversion therapy that passed on Beacon Hill in March will show LGBTQ youth and families that the state supports LGBTQ youth, and that such practices are now unacceptable in the state. James Anderson, 71, of Brookline, said people need to learn how to ignore their instinct to not trust diversity. Peter Landry, 25, of Allston, said he thinks it is unacceptable that conversion therapy is still legal in some states and that inclusion should be a priority in society. Tyler Graham, 23, of Roxbury, said his experience in health class did not cater to LGBTQ students and that he did not learn what he needed to know as a member of the LGBTQ community. Nyah Jordan contributed to the reporting of this article.